We celebrated very appropriately: hanging out with Lady HIGH Summoner. Last year today, after 7 months of labor, Bahamut was born early at Oz Comic Con SYDNEY 2017. When I was chosen as national champion to represent Australia in the global championship in Chicago, I shoved him back into the womb (my living room) and kept birthing him for another 7 months. Making him a 14 month baby in total. This project started off as my personal challenge in 2017 and became so much more. He’s heavy. He took a long time. He’s troublesome to bring to any event. He’s larger than our house. The cats like to sleep in him so I can’t even wear him anymore without getting my lungs fucked up from allergies. 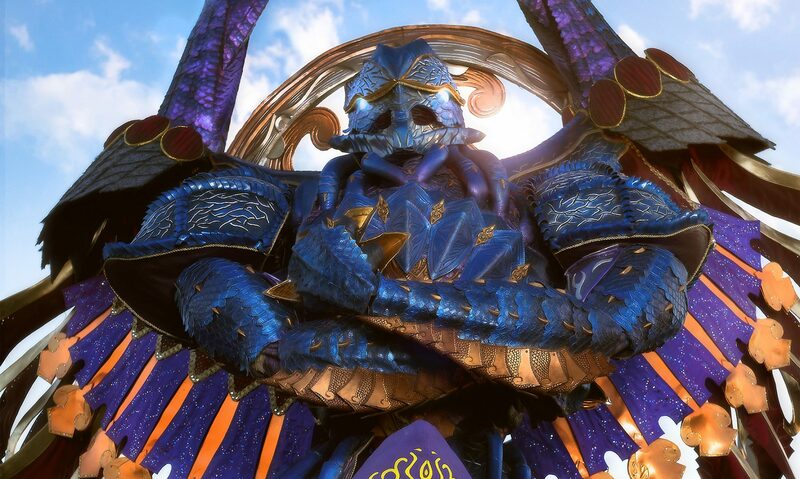 But he’s been made with all of my love for Final Fantasy X, and all of my pride as a craftsmanship-focused cosplayer. Thanks to this project, I’ve made so many great memories (and war flashbacks) with my close friends and the Australian (and hopefully global) community. This project also ultimately help me realise what kind of cosplayer and craftsman I truly want to be. Happy birthday my oversized dragon child. I equally love and hate you. Cover arts for the two books! Available in Ebook, Physical Book, or bundle of both.